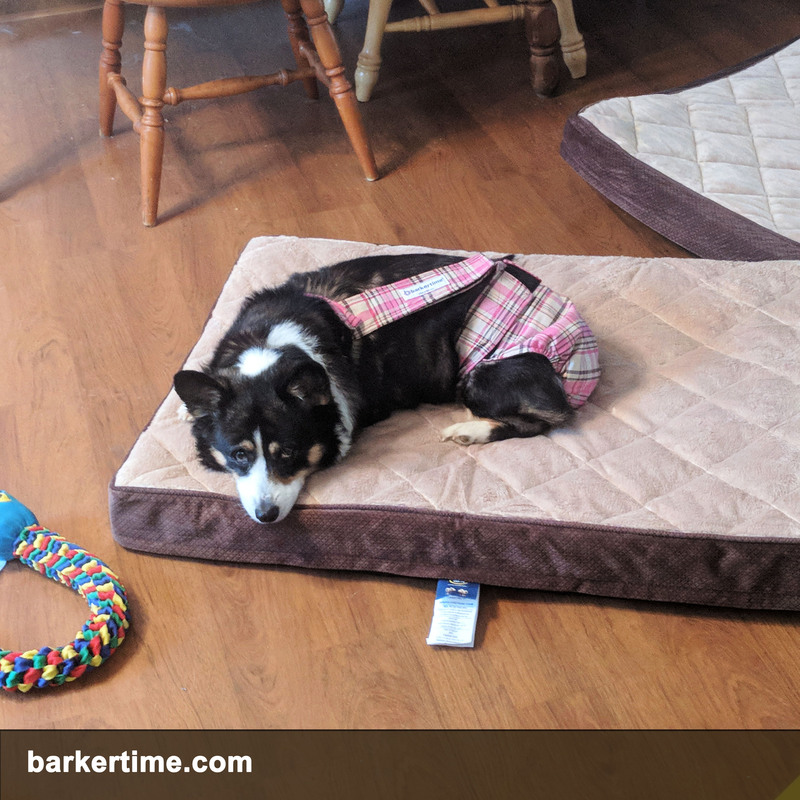 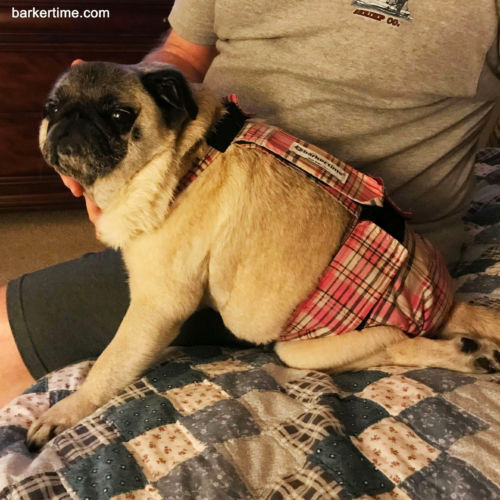 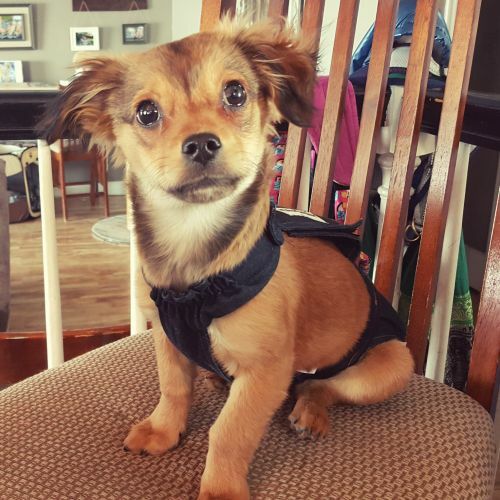 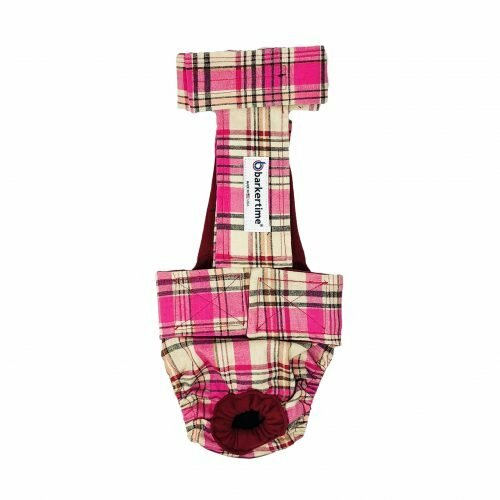 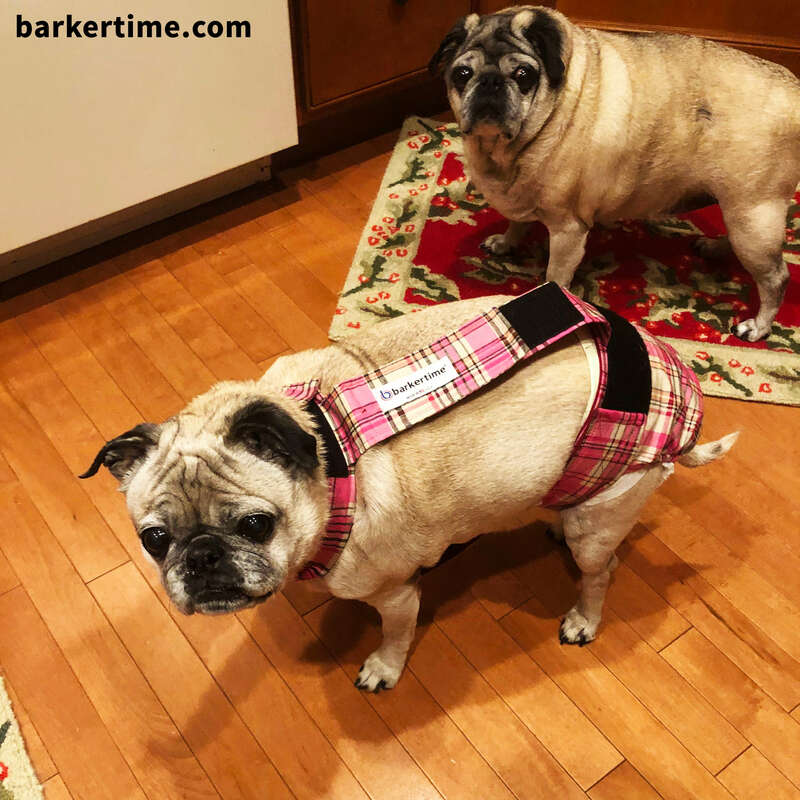 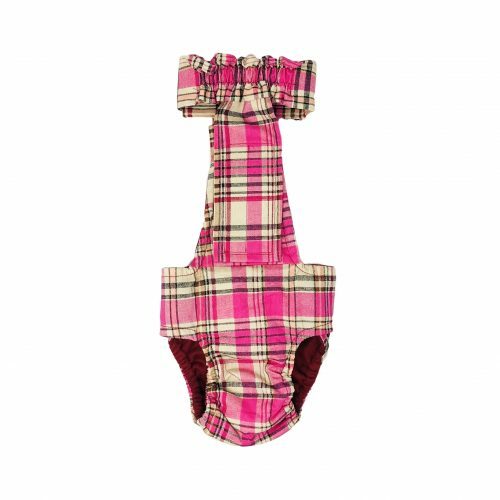 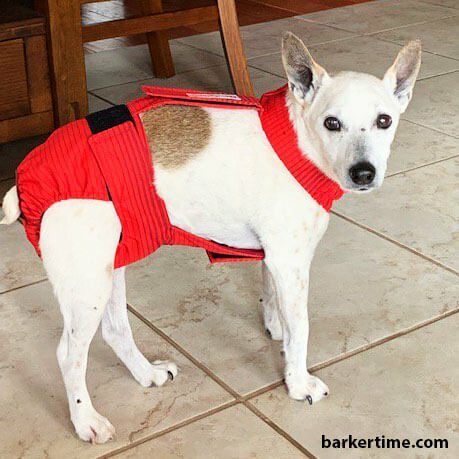 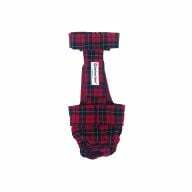 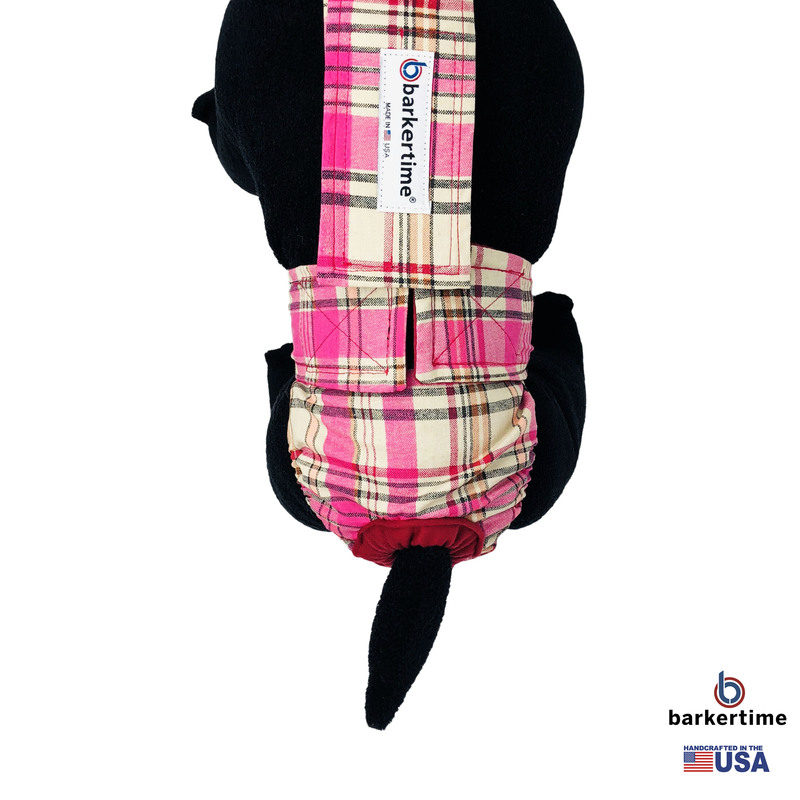 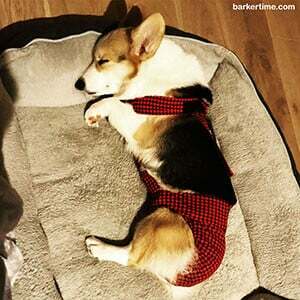 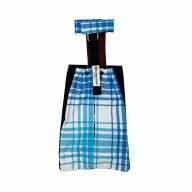 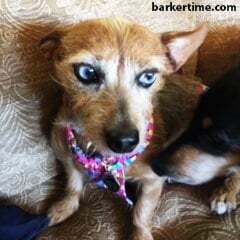 Sooka wears the Barkertime pink plaid dog diaper overall at bedtime to catch her little poops because she cannot control them anymore due to an age related spine/back problem. 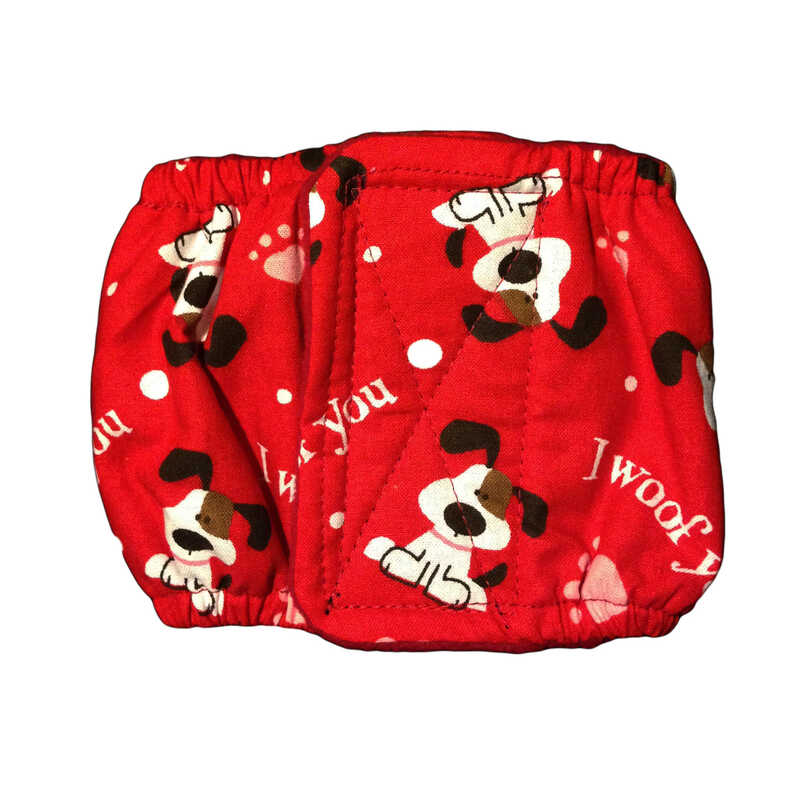 I put a disposable baby diaper underneath so that I can just throw it away and it keeps the overall clean. 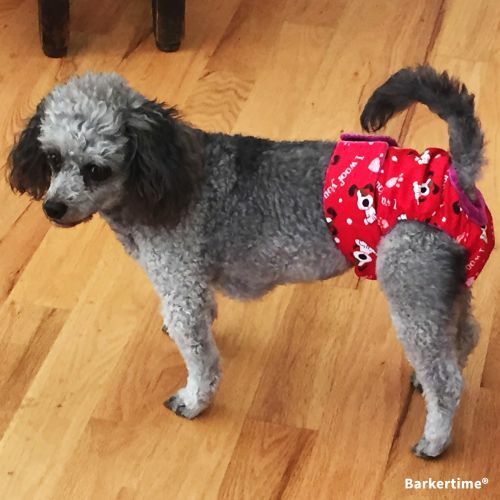 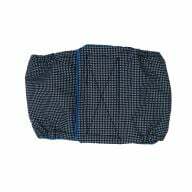 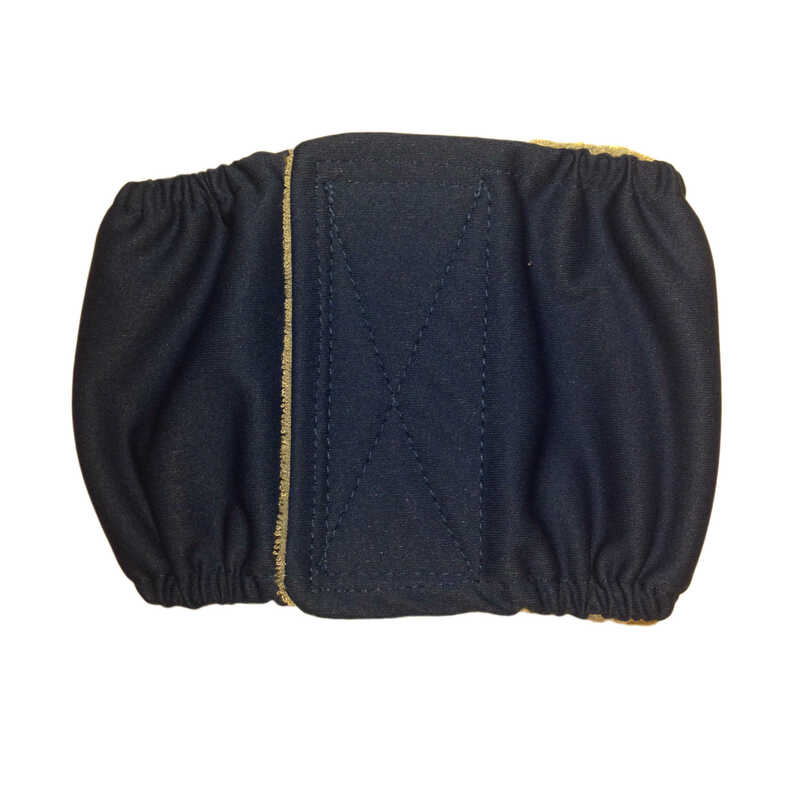 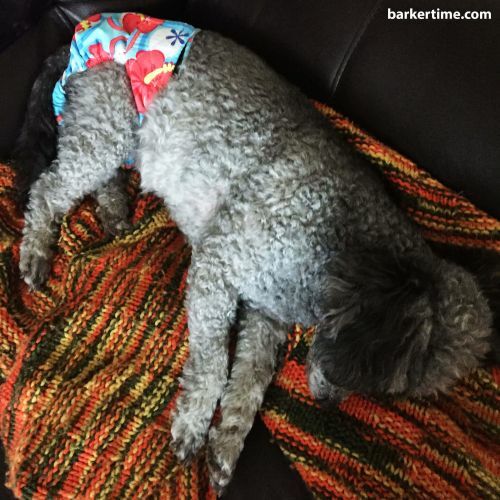 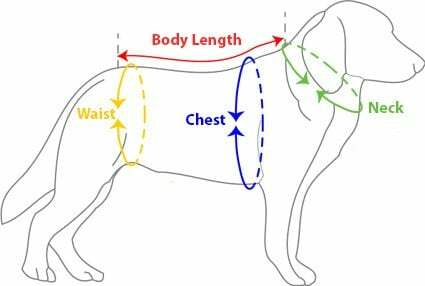 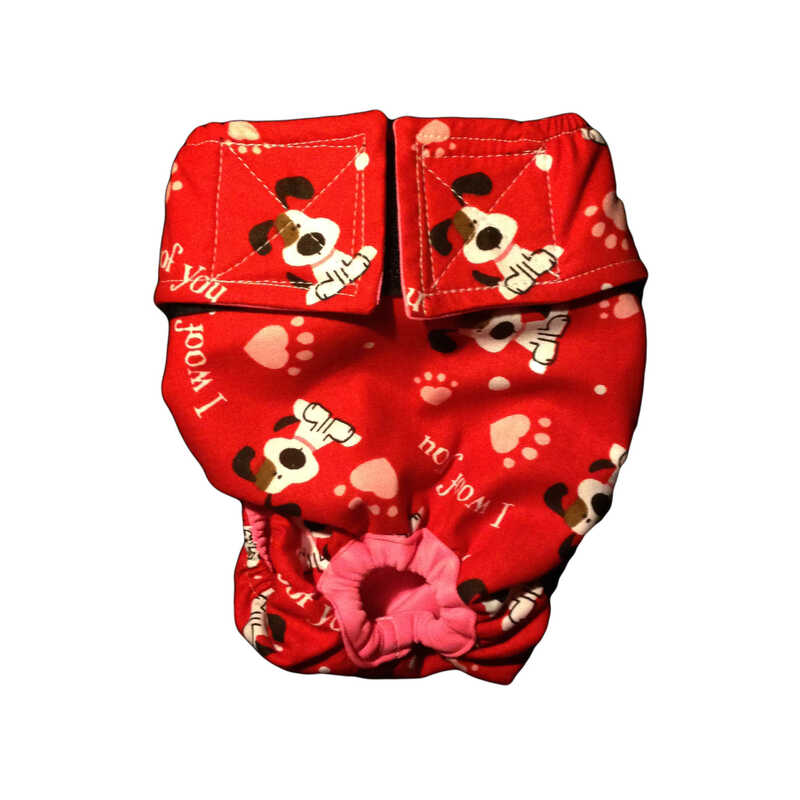 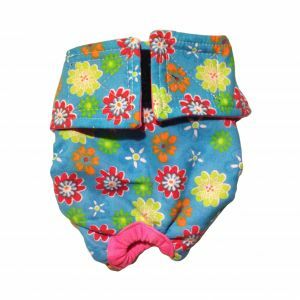 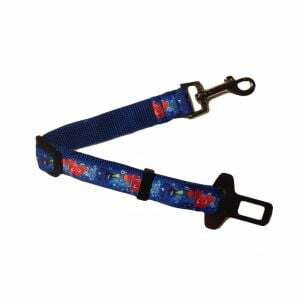 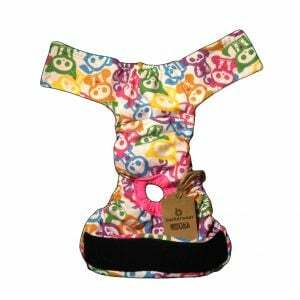 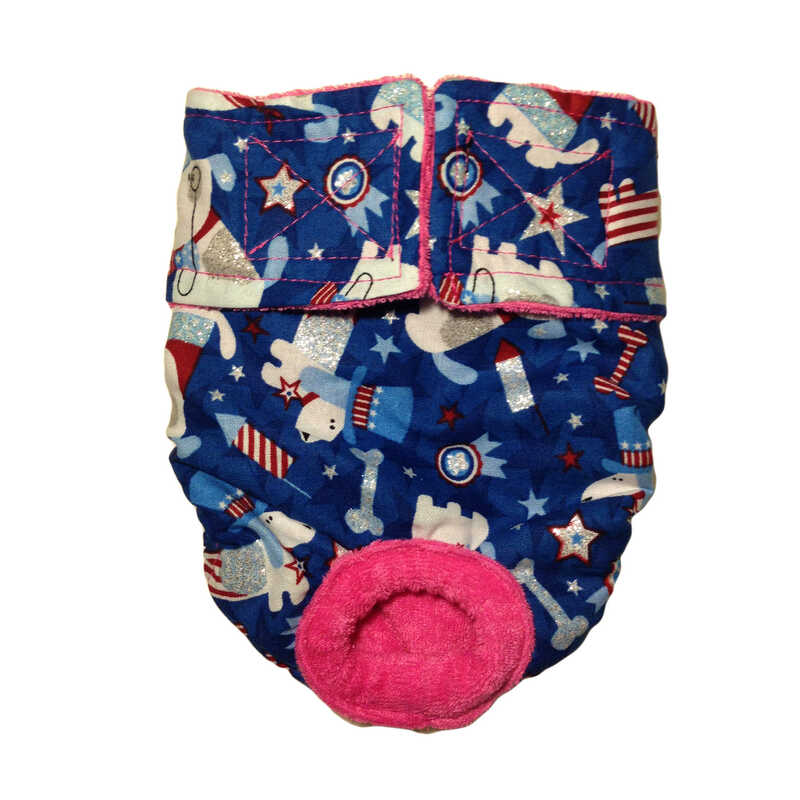 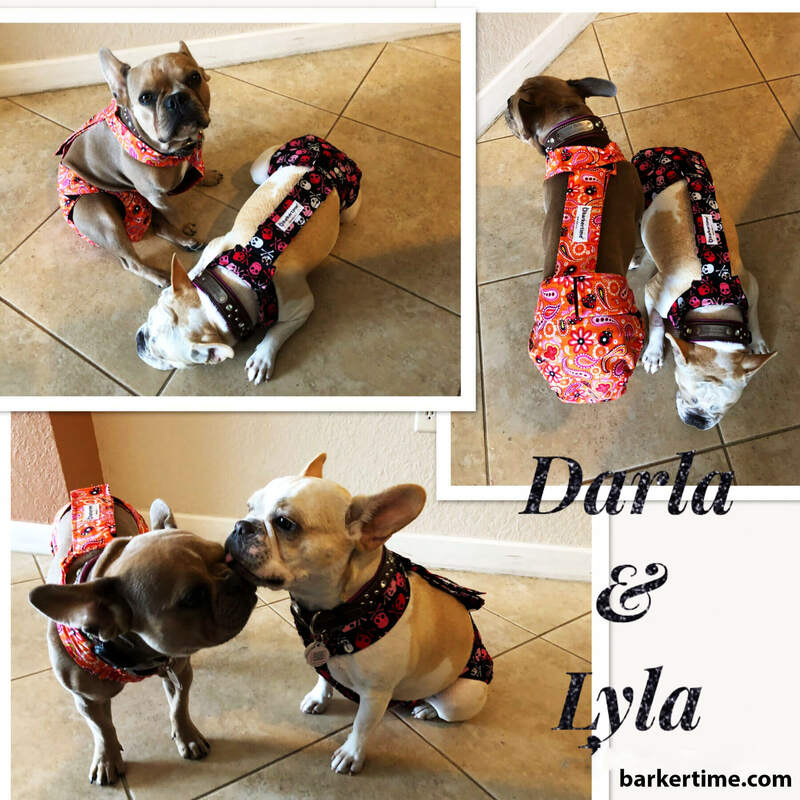 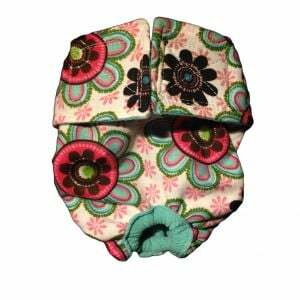 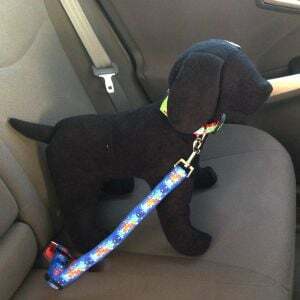 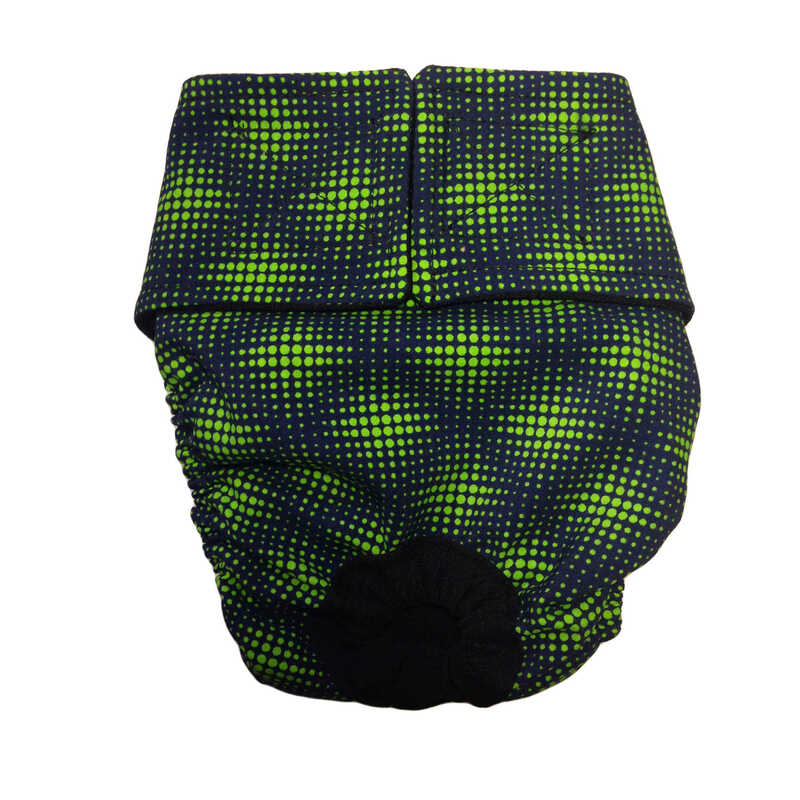 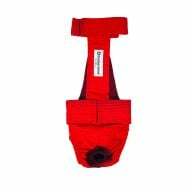 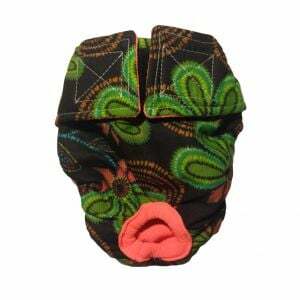 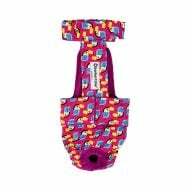 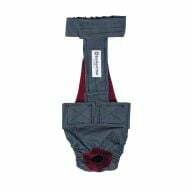 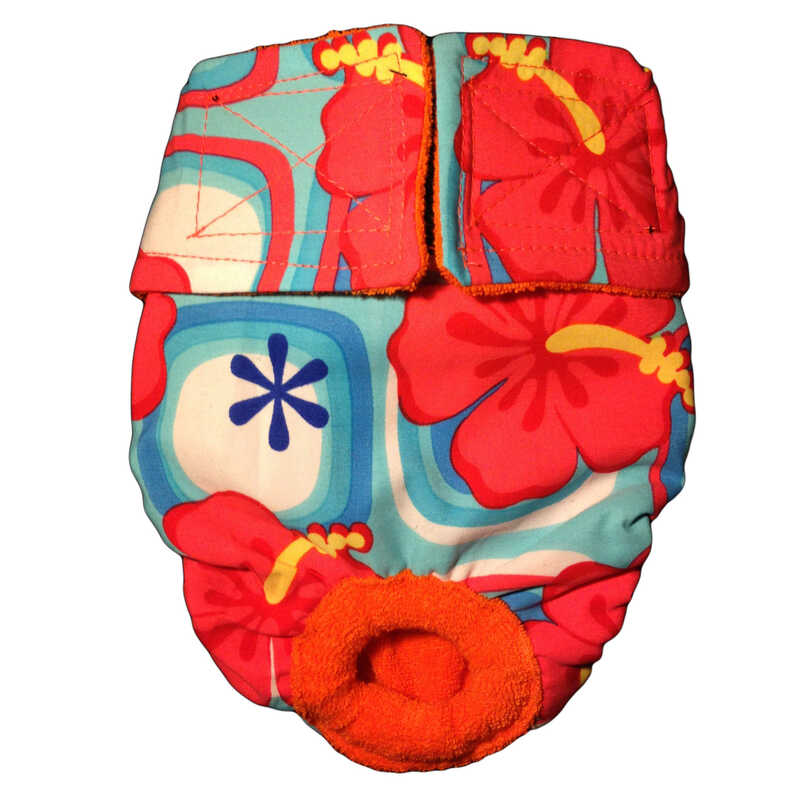 The Barkertime overall washes well and keeps the diaper in place nicely. 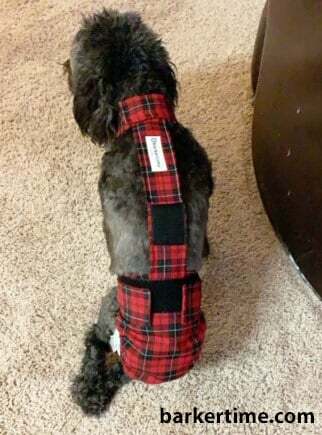 I am buying her another one to rotate them!